How do we choose the best CCTV wireless camera and its software? The best wireless surveillance cameras will keep you up to date with everything that’s going on home while you’re away – and you can see real-time pictures of the house, yard or garage. They can also detect motion and record any intruder, while surveillance cameras with more advanced technology include facial recognition and two-way audio communication. Here are some key features to look for when buying a smart surveillance camera. What can a wireless performance camera do? The most important aspect of this is image quality. The current wireless surveillance cameras support a resolution of at least 720p HD (1280×720 pixels), some recording Full HD 1080p resolution (1,920×1,080 pixels). Higher resolution will generally mean better image quality – although 720p is usually pretty clear to see including facial features. Storage media: Cloud recording vs. internal storage. One of the choices you need to make is whether you prefer a camera with internal storage or a camera that allows you to record images in cloud or FTP. Some surveillance cameras allow you to store cloud videos for safety or use the PC camera software to store images on an external drive. So if that room is stolen or destroyed, you will have access to the records and you can access them from anywhere. Most wireless cameras use a cloud-based storage system, but storage levels vary and some do not offer at all. Check out how much free storage space is available, and also find out how much it costs to add extra storage if you need it. Pro Cloud: easy to access and share records on any device. Also, cloud storage means you do not have to worry about losing the SD card or spoiling your device. Against: There are some privacy issues related to cloud-based storage because your data is transmitted and kept online. Some wireless cameras store video on an SD card of various capabilities. Pro: It’s free and you can store a reasonable amount of images depending on your card’s storage capacity. Night vision: A wireless surveillance camera will switch day and night modes smoothly and should be able to choose the same level of detail even in low light conditions. For night viewing, most devices use either LED or infrared lights, or a combination of the two. Motion detection: Surveillance cameras with this feature will trigger the recording when the motion is detected. Some apps allow you to receive an alert by phone or email. A useful feature is the ability to set up a program so that motion alerts can only be activated during the time you are leaving home. Audio recording: If you want to hear what’s happening in your house – whether it’s a dog, whether it’s a kid, elders, or something else – it’s important that the device you buy has such a feature – audio recording. If you want to communicate with people or pets, then the bidirectional audio recording is the feature you need. PC app or online site: A clear user interface makes it easier to live record or view the recordings. Before buying the wireless surveillance camera, check that all application features – such as setting a calendar or programmable functions (eg motion detection) – are included in the standard, or whether you have to pay extra to unlock full functionality. Control of other electronic equipment: Some wireless surveillance cameras allow you to control your climate meter, TV, turn on the DVD and other devices. This is done via the IR after the camera is oriented toward the equipment. Facial Recognition: This is a relatively rare feature at the moment, but technology will be much developed in the near future, and rooms will be featured with this feature. Facial recognition is meant to inform and alert you when, for example, your children have come home from school. In the case of power or battery power: Most wireless devices are connected to the mains power supply and some of them provide a back-up time for power supplies if the batteries are connected. A battery-powered model allows positioning of the device in almost any place, as it does not have to be close to a power supply, and at the cost, we can just replace the batteries. Usage indoors or outdoors: Wireless security cameras are generally designed to be used in the home, but there are outdoor devices that are weatherproof and have a degree of protection. Mounting: Some manufacturers, such as Vstarcam, built indoor wireless cameras so they can be mounted in different places and positions: wall, ceiling, vertically, horizontally, obliquely, etc. depending on need and necessity. How to install a surveillance system? These pages are a complete guide, and quite stubborn, for installing a surveillance system with analog cameras. The chapters in this tutorial will provide you with the necessary knowledge to install from A to Z a surveillance system, just like a professional. For unrelated customers, this tutorial will be a real help. For further details, tips and explanations, the xmeyepc.com team will be available. You’ve decided to install a self-monitoring system. 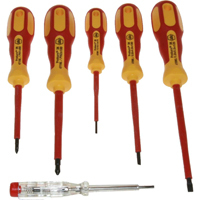 Before you get started, before you pick up a screwdriver, it’s a good idea to make a “fight plan”. If you set a few clear targets, everything will go smoother, and the end result will be good. If you’ve already bought the surveillance system and the package came with cable, then the choice has already been made. You will need to use the cables in the package. If the surveillance system does not have a cable in the package, then you have to choose your wiring and buy the required cable lengths. Analog surveillance cameras need 2 connections. Video connection through which the video signal from the camera to the DVR. Power connection, through which the power goes from the power supply to the room. These two connections are absolutely necessary, regardless of the type of cable, but these 2 connections can be made using 2 types of wiring. Both offer the same result if the fitting is done correctly. Copper coaxial cable with BNC connectors + power cable with power plugs. Coaxial cable is plugged using BNC connectors. The power cord is plugged in using straight feed connectors. This is the classic version with the longest on the market. It is the variant that most installers know. 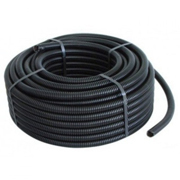 Coaxial cable and power cord wiring means more work because the coaxial cable is a bit harder and more difficult to handle, and plugging the BNC connectors on the coaxial cable is somewhat tedious. As an advantage, the use of this method is often more affordable as a price. When we get to the tutorial on connections, we’ll explain in detail the fitting. The coaxial cable is capable of transmitting video signals over hundreds of meters. Correct supply of cameras can be a problem. We have to choose the right cable. The necessary information about choosing the right power cord can be found in the article below. Caution – Choose coaxial cable and copper supply. Avoid aluminum or aluminum alloys. Get the best pictures with copper cable. UTP copper cable with Video-Balun adapters and power connectors. The UTP cable has 4 pairs of 2 wires, which we can use to connect 2 surveillance cameras at the same time. A video camera pair 1, a camera 1 pair, a video camera pair 2, a camera pair 2. We recommend that you do not complicate. Use a UTP cable for each camera. From that cable you will use a pair of wires for the video signal and a pair of wires for power. This avoids any complication caused by interference. Caution – Choose copper UTP cat5E cable. Avoid aluminum or aluminum alloys. Get the best pictures with copper cable. An analogue surveillance system needs a central node, a technical point where the DVR unit and the power supply will be positioned. At that point all the cables from the cameras will be reached, there will be connections to the DVR and to the power supply. For a power supply, a 220V socket is sufficient, but it is recommended (if you have the budget) to mount a UPS between the socket and the surge arrester to stabilize the current from the socket and to reserve it if there is a current leakage and you want the system video remains in use. I do not think we need to detail why moisture is not indicated for electronic equipment. Do not allow the DVR to operate in temperatures below 0 degrees. In the event of a power failure, due to the difference in temperature between the DVR and the cold ambient environment condensation will occur inside the DVR. When the electric current returns this condes will cause a short circuit on the DVR’s motherboard, so its failure. Do not leave the DVR exposed to the sun or in extremely cold environments. A shady place with ambient temperatures between 0 and 30 degrees Celsius is the most recommended. By accessing an internet source we understand a cable connection (UTP) to an internet router if you plan to connect the system to the Internet. This connection is via a UTP Internet cable that will connect the LAN port of the DVR to one of the router LAN’s LAN ports. Most of the time, the DVR is mounted in the same place as the router, a desk, a desk, a metal painting, etc. If you have the option, mount the DVR in the bridge, route all cables through the bridge, and from the DVR you get with a single UTP network cable to the router. This avoids the clutter of wires and connects the system to the Internet. 1.3 Choosing the positions for surveillance cameras. Of course you will choose these positions according to the areas you want to monitor. Inside the rooms are usually mounted in the corners of the rooms, or above the cash registers, or above certain offices, etc. using a UTP for both data and power. Measure the cable lengths you will need. Take into account the routes you will use and think that you will not get from the camera to the DVR in the right line, you will have elbows and ocasions. Take a margin of error. If you have a house or home under construction (or renovation) you have the advantage that you can pull the cables through the structure of the building. If you have a bridge, do not hesitate to use it. You can picture the cables through the bridge, hidden from view. 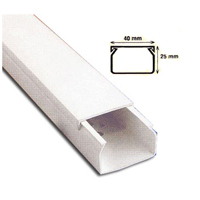 If you have a plinth or parquet, you can also use these to cover the cables. If you do not have one of the above variations, it’s time to lay the cables on the walls and cover them with a cable. No assembly can be done with bare hands. We need tools. Depending on the complexity of the project, simpler or more sophisticated tools may be required. You may not need everything that appears in the list below, but some things are indispensable. I marked them with * the necessary ones. After setup, you can drop the monitor. Access to the surveillance system can be done through the network or the Internet. If you want a monitor or TV permanently attached to the DVR, there is no problem. You can use HDMI and VGA video outputs. Many customers keep an HDMI connection with the TV because they want to watch the video on the couch. Perforated metal band (for clamping cameras on curved surfaces: poles, leaks, etc.). Caution – We do not recommend cable extension by inadvertently. If you have to make a cable extension and do not want to withdraw the entire length, we recommend using an aperture protected by an apparent dose. 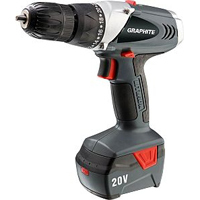 I went through the list of tools and small accessories that you could use. Now make inventory of equipment and materials. -DVR recording unit with feeder and mouse. A new DVR, whether it is more expensive or cheaper, has to come in a box with a DVR, a mouse, a feeder, possibly a manual. More recently, the printed manuals have been replaced by electronic textbooks. If you do not find a printed manual or a technical support CD, you should contact your supplier for a digital handbook. -Hard Disk SATA compatible with the DVR. The HDD mounts inside the DVR and has the task of storing the recordings. If you bought a surveillance package with HDD included, then that HDD should already be tested on your DVR and you will not have any problems. analog surveillance cameras. Obviously, we need surveillance cameras for a surveillance system. But we mention “analog cameras” because there are also digital cameras (also called IP cameras). 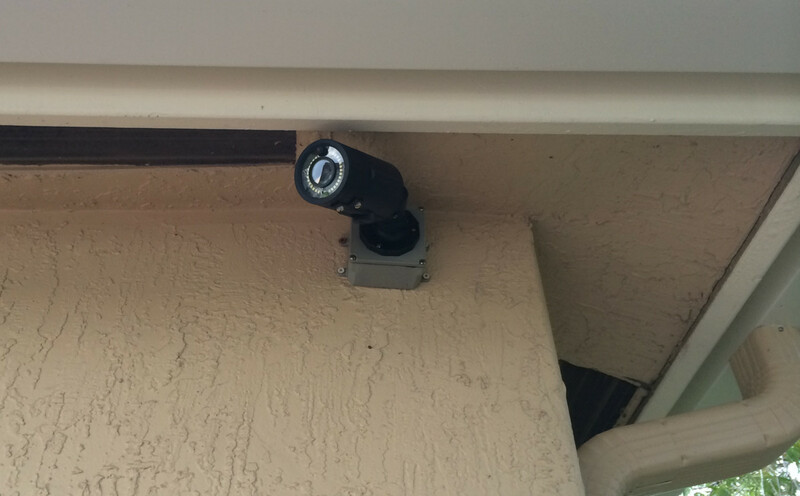 This tutorial is for installing analog surveillance cameras. These can be easily recognized by the BNC data connection, just as in the picture below. the room power source. Surveillance cameras need constant and stable electrical power. It does not matter what option you choose to power the cameras. 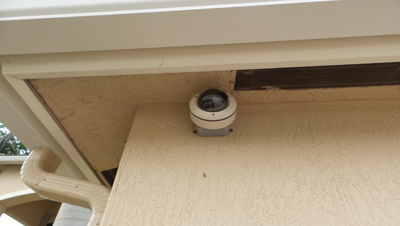 It is important that all surveillance cameras receive 12V DC voltage and have enough amps to operate in day and night. 12V DC (DC) voltage is the voltage used for most cameras on the market. 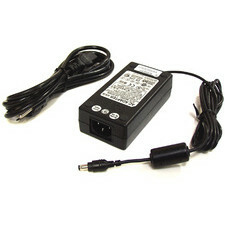 If you have a camera that uses a different voltage, you should be careful to use a power supply with the right voltage. A voltage too low and the cameras will not have a picture or will have a picture with imperfections. A too high voltage and the cameras will burn. 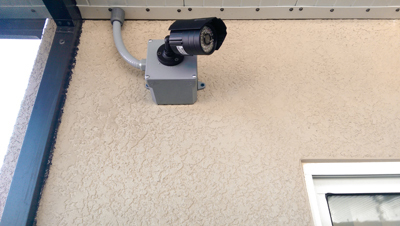 In our surveillance packages you will find a common power supply for all rooms. This way you will have a single socket. This power supply is a 12V power supply and enough amps, even more, for all cameras. The amps that a source can provide are very important. The current consumption of a camera is measured in milli Amps (mA), so if a room consumes more current, it will need more mA. Maximum consumption is at night when the infrared illuminator goes into operation. The power supply must be able to provide those Amps that cameras need for efficient operation. The maximum consumption of a room is passed to the box or back of the camera. Example: If we have 4 cameras, each with a maximum consumption of 0.5 Amps, then we will cumulate a total consumption of 4 x 0.5 A = 2 A. This would suggest that it is ok to use a 2A source for the system our. It’s not like that. We recommend a power supply of 3-4 Amps. The power supply does not exactly charge all the Amps marked on the packaging. Most of the times we meet sources that can barely offer half of the promised Amps. In addition, for a long lifetime, it is good that a feeder is not required to the maximum of consumers. For these two reasons, we recommend the use of sources with amperage almost double the calculated theoretical consumption. If you purchased a complete system, the power supply from the package must be properly sized by the equipment supplier. -cable for installation. As discussed in the first part of the tutorial, you have two options to woo the surveillance system: coaxial cable + power cord, or UTP cable. -RG59 or RG6 coaxial cable coaxial cable with copper core. Avoid the aluminum. You will need a cable length for each room. The coaxial cable must reach from the camera to the DVR. 2-wire copper power cable. The copper copper diameter is important. 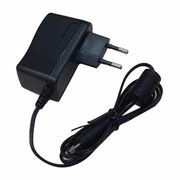 For small distances between the power supply and the camera (max. 20 meters), you can use 2-wire twisted copper wire of 0.5mm thick (2×0.5mm copper). If you have bigger power supply between the power supply and the camera (20-30 meters), we recommend a copper wire with 2 threads of 0.75mm thick (2×0.75mm copper). If you have even greater distances between the power supply and the camera (over 30 meters), we recommend the 2 x 1mm copper wire. You can use a separate cable length for each camera or a single cable length that passes through each camera, feed it, and then go to the next room. This procedure is for more advanced installers. We recommend that you do not complicate and go on the solution of a separate power cord route for each room. If you install outdoor cameras with long cable lengths and exposed passages between poles, it is advisable to use a cable with a solid protective sleeve, even with a socket, for the route to have resistance. In the above images, from left to right, coaxial cable, power cable 2 x 0.5mm copper, roll coaxial cable with attached feed. -cat5E copper UTP cable. Avoid the aluminum. You will need a cable length for each room. The UTP cable needs to get from the DVR to each camera. The UTP cable is built with 8 wires (divided into 4 pairs) and can be used for both video signal transmission and power supply to chambers. To avoid long-distance power problems, we recommend using a UTP cable for 20 to 30 meters between the DVR and the FTP camera and cable (a thicker, thicker UTP cable) for 30-50 meters between the DVR and the room. If you have a distance of more than 50 meters, the Internet cable for the power supply is no longer an option and you will need to use a separate power cable of the right diameter. The cable can be purchased from us or you can find it at any electrical products store. 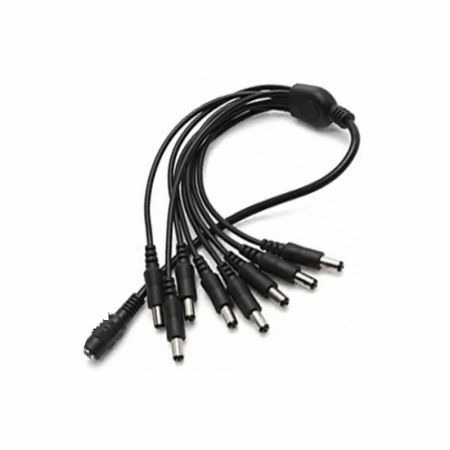 Because our systems contain a common power supply for all cameras, we also offer a power distributor to attach to the power supply from the package and get more power outlets for more cameras. The purpose of the distributor is to “share” power to multiple cameras at once. 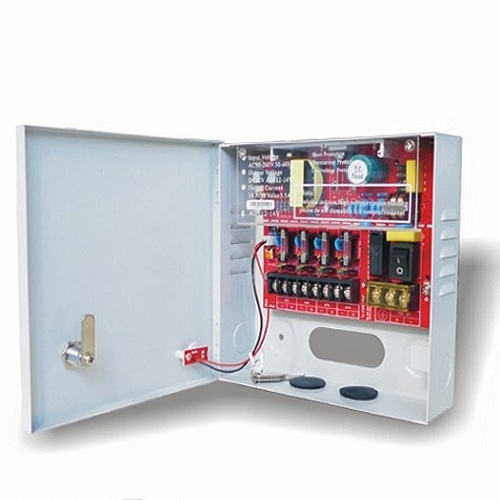 The power distributor connects to the 12V output of the power supply that you have in the package. In addition to the distributor, the mother power supply connectors come in. 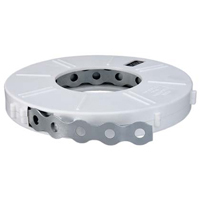 They attach to the power distributor outputs and are built with a +/- rigidity. At the +/- Ripple of the connector, you will connect the power wires that will reach the camera. You will use the dad connectors to power the cameras. Dock connectors are inserted into the camcorder’s power jacks. 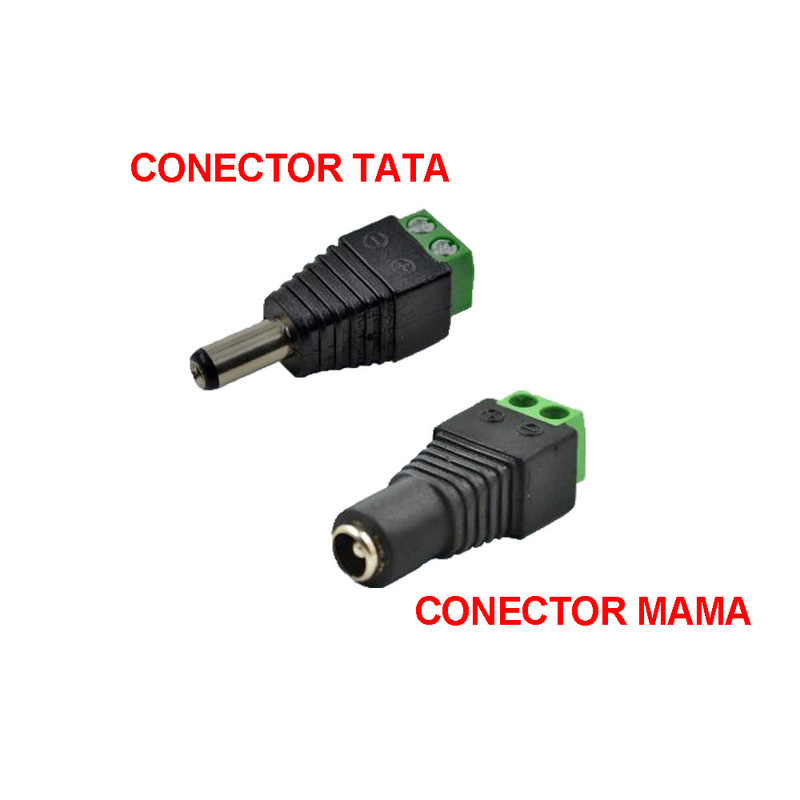 Just like mother connectors, Dad connectors have a +/- rigidity. At this +/- line, you will connect the power wires coming from the +/- rope to the mother connector. The data connectors of a surveillance camera are chosen depending on the cable used. 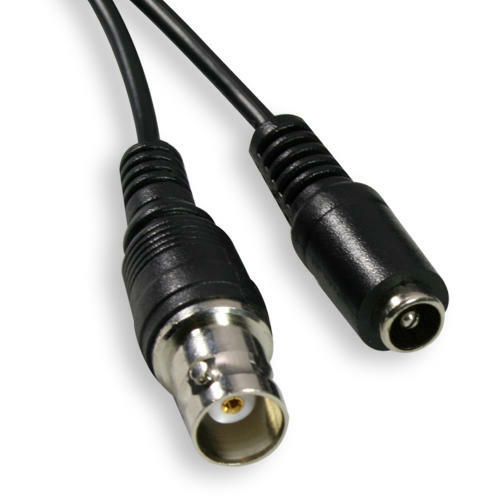 All analog cameras have a Dc BNC plug, but if we use a coaxial cable we will need mother-in BNC connectors, and if we use the UTP cable we will need to use Video-Balun connectors. 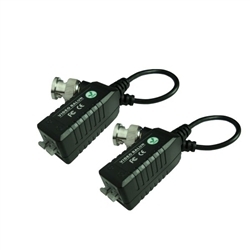 Each camera will need 2 connectors, regardless of type, either BNC or Video-Balun. A connector will be plugged at the end of the DVR cable and the second will be plugged at the cable end of the surveillance camera. In the above images, from left to right, power distributor, mother / father feed connectors, BNC connectors, video-balun connectors. All docking procedures will be detailed below. As mentioned above, each surveillance camera must receive a data connection and a power connection. You chose what cable to use and chose the paths you will follow. You can start the routing of the cables from the cameras or the DVR, anyway, it will be more convenient. Take care to lay the threads safely, with no points where the wires have contact and rubbing with a sharp surface. In such situations, because of the wind the cables are still moving and the friction will cause the coating to deteriorate. The water can enter the cable, the cables can be interrupted, etc. Do not leave any portions of cable that can be grasped, pulled, plucked. Use strap ties to secure the cable firmly in place. Use plastic or metallic copex to protect cables. Use a cable bed with adhesive for stylish decoration on the walls. 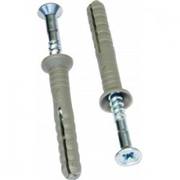 Wipe the adhesive cable temporarily into position using the adhesive, then firmly clamp using self-tapping screws. Keep each end of cable, DVR and cameras, an extra cable length for easier plugging. The surveillance cameras are in contact with signal and power cables using data connectors and power supply. These connections must not be visible and must not be exposed to damp and dirt. Why? 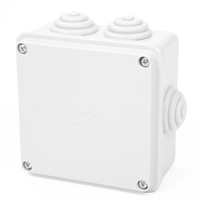 because in an outdoor environment with moisture and dust, these connections will deteriorate, so the signal and power connections of the camera will be interrupted. because it is not aesthetic; lovers leave cables hanging around. If you do not have a safe place where you can hide camera data and power connections (a false ceiling, bridge, etc. ), it is recommended to use apparent doses to protect and mask connections. Indoor chambers can be mounted directly on a false ceiling, and the connections hidden in the false ceiling. On the outside we do not always have such an advantage. Wherever there is an accessible version of protection and masking of connections, we recommend the use of apparent doses. There are also aesthetic doses in different colors. You have 2 dose-rate variants. Grasp the doses near the surveillance camera. 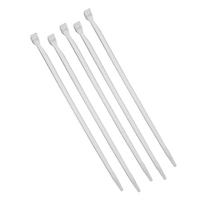 Signal and Feeder Power Cables will penetrate into the dose through the back of the dose or one of the lower glands. We choose a lower gush to keep the rain water out of reach. You will also insert the data and power cables from the surveillance camera. The dose will be the signal and feeding jacks, then cover the dose with the dose protector cap. We talk about jacks broadly below. Grasp the dose on the wall, and the surveillance camera directly on the dose cover. This is only effective if you use screw caps. If you use capped dose caps with the risk of dropping the dose cap, with the camera all over, under the weight of the camera. In the summer, in particular, due to the expansion of the materials, the dose caps are widening and can fall more easily. Depending on the surface to be attached to the cameras, you will need to use the appropriate grip method. If you have insulation, you will need to use the appropriate lengths of the holsurubs, so that the camera is caught in the wall, not in isolation. The camera must be firmly attached, without play. It is ideal to choose protected positions for rooms, less exposed to weather, rain, snow. We recommend once again our article dedicated to choosing the optimal position for a surveillance camera. At this point you must have all the threads laid and passed through the protective dose. 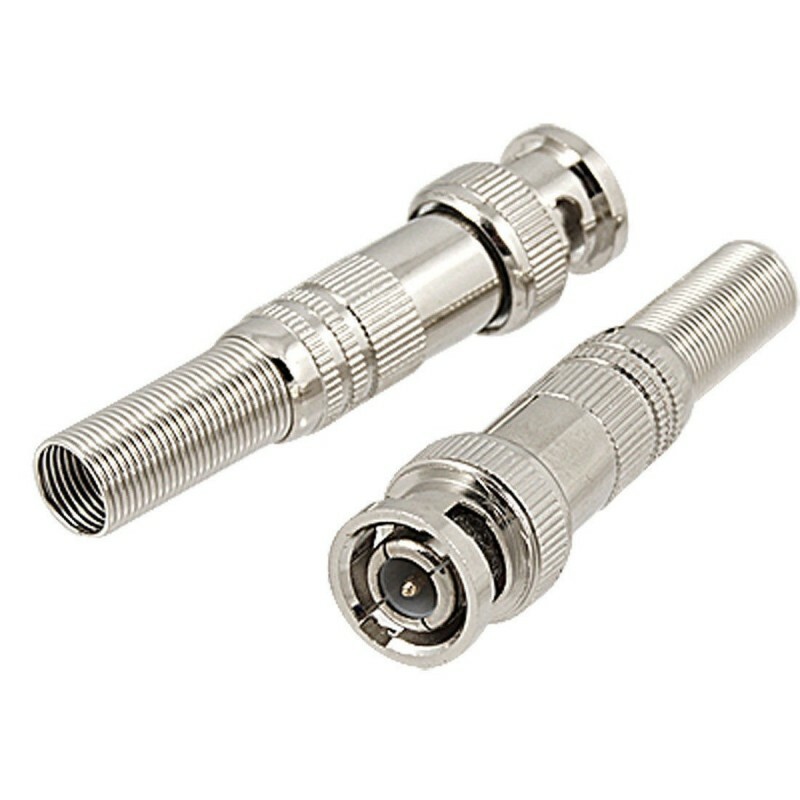 If you use coaxial cable for video signal, connections are made using BNC connectors. In the link below you will find a detailed tutorial on how to fit a coaxial cable with BNC connectors. If you use UTP internet cable, connections are made using Video-Balun connectors. In the link below you will find a detailed tutorial on how to fit a UTP cable with Video-Balun connectors. Data links are made for each camera, both at the cable end of the camera and at the cable end of the DVR. This means that for each camera you need 2 data connectors, be they BNC or Video-Balun. Your surveillance package must contain all data connectors required for all cameras. The power connections are first to the cameras, then to the power supply. The dad connector has a dad-type power jack and a small ribbon, marked + / – (plus / minus), where you need to plug in the power cord. the power cord has 2 wires (if we use a UTP cable we will pick a pair of the 4 available to use it as a power cord). From the 2 threads, one thread will be + (plus) and one thread will be – (minus). you choose which thread to use for + and which thread for -. You have to remember what choice you made. You will have to follow the same orders from the camera and the power supply. Usually, for power, the red thread is used for + and the black thread for -. If you do not have these colors, choose yours. !!! Attention – Always observe the signs. PLUS (+) always goes to PLUS (+) and MINUS (-) always goes to MINUS (-), otherwise you will cause a short circuit. Use a knife or cutter to cut 1-2 millimeters of the wire sheath. Copper inside the threads must be visible. That copper will make contact with the inside of the ruler. 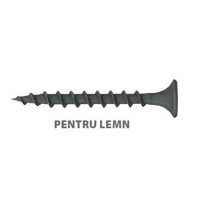 use a small starter screwdriver to loosen each screw from the connector line, insert the thread you chose for the + yarn + line, the yarn you chose for – into the ruler – and then squeeze firmly each screw so that the threads can not come out. Do not over-tighten. You can break the thread. After connecting the power cord to the power connector line, insert the male connector into the 12V jack on the camera. Repeat the procedure for each room. Each room has its own power cable, so the procedure is the same. the power supply must be built with a ruler with one or more marked outlets +/-. At this line you will need to connect the power cables coming from the cameras, respecting the polarity (+ to +, – to -). If you have multiple outputs at source, you need to connect one room at each output. If you have one output you will have to connect all the cameras to the same output. This means that all + wires from the cameras will connect to the + output of the source, and all the wires from the cameras will connect to the output of the source. -Mother type connectors are used together with a power distributor and inserted into the power distributor outputs. –Distributor has a 12V input and more 12V outputs. Everything a distributor does is to share power from the feeder in several directions. -input the distributor into the power supply outlet. -Input the mother connectors into the outlet of the distributor. -connect the supply wires of the cameras to the connectors. The purpose of the DVR is to process, display and store the video signal coming from the cameras. Store the recordings on an internal HDD that you need to mount. The DVR comes from the factory without mounted HDD. Grab the HDD in its place using the screws in the DVR box. The screws are in a bag in the DVR’s accessory case. Connect the HDD to the DVR’s motherboard using data and power cables. The cables are located in the DVR’s accessory case. You now need to connect DVR camcorders to camcorders on video inputs on the rear panel. Depending on the DVR type, you will have 4, 8, 16 BNC dad inputs. The camera cable plugs lock into the video inputs without playing. Connect the mouse from the box to one of the USB ports. We will use the mouse to interact with the DVR menu. For tests and settings, you will connect the sample monitor to the VGA output or a TV to the HDMI output. Place the DVR on the final position. 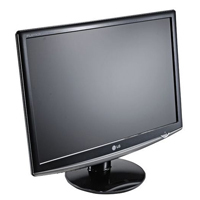 The monitor can only be used for tests and settings. The monitor should not remain connected to the DVR after you finish the settings. All system functions can be accessed and fully used from the network interface. Of course, if you want, you can keep a connected monitor or TV and watch the cameras by this method, and with your mouse interact with your DVR (DVRs support a wireless mouse, if you want to control the remote system more great). Now we can plug in the power supply to the cameras and the DVR power supply. If you have done the correct installation after the DVR will load the menu, you will see images from the cameras on its screen. With image from every camera on the monitor you can adjust the cameras in their final position according to your wishes. Adjusting the cameras is done, depending on the model, with a screwdriver or screwdriver (found in the box). It is helpful to have a person standing next to the monitor and help with directions (left, right, above, below, etc.). Otherwise, you can complete the system settings, especially the connection of the internet surveillance system, and adjust the cameras by yourself using your mobile phone. An analogue surveillance system is configured primarily from the DVR menu. Setting up a DVR is a step for you to refer to the DVR manual. Depending on the manufacturer of the DVR, you can find it on the manufacturer’s official website, on a DVR box CD, at your DVR provider. Our team is at your disposal with technical support. Most likely, the power of the cameras is not correctly made. Check that all the cameras have infrared LEDs on. Cover the camera lens with your hands so the camera’s light sensor thinks it’s night, and see if the infrared LEDs light up. If they light up, then the power supply is right and the problem is somewhere else. If they do not turn on, then the cameras do not receive power and you need to check the power supply, the integrity of the power lines and the power connectors. A faulty feeder implies warranty claim. We test all the feeders before we add them to packages. Check the power of the cameras by covering the camera lens and see if the IR LEDs light up. If they do not turn on, then chances are you have a power plug with wrong connections. Another variant is the signal side. Maybe the BNC jacks are not well made and the DVR does not receive a video signal. Make sure all the plugs are OK. Check the DVR’s feeder. It must charge 12V and minimum 2 Amps. Try to power the DVR with the surveillance camera feeder. How does a CCTV camera or DVR works? What does CCTV mean? What is a DVR? It must be connected to a DVR. CCTV or Closed-circuit television refers to the use of video cameras that transmit the signal to a specific location in a closed loop without allowing access from the outside of the system. A surveillance system does exactly what the name says: Supervise. What can you watch? Commercial premises, construction sites, warehouses, money houses, offices, restaurants, employees, traffic, own house, apartment, children’s room, elderly, parking, tourist areas, access areas, any point, room or area of ​​interest requiring supervision. 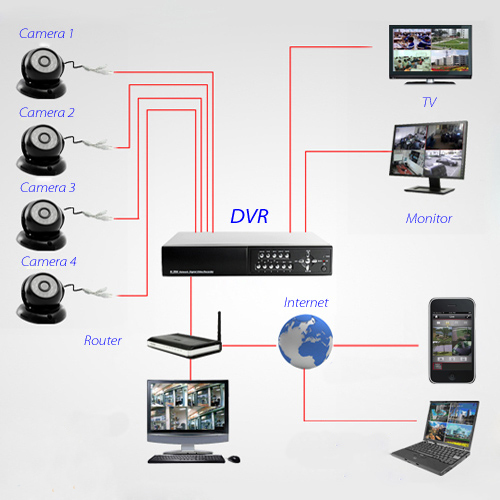 The DVR is the component of a video surveillance system that deals with receiving video and audio signals, recording them and transmitting them on the Internet (if desired). He also “plugs” video signals to monitors (CRT, LCD monitors) under different resolutions. The DVR records the images coming from video surveillance cameras on an internal hard disk of various capabilities. What is a CCTV or IP camera? A CCTV camera or IP camera is a Closed-circuit television (also known as video surveillance), is the use of video cameras to transmit a signal to a specific place on a limited set of monitors through a software. This differs from television in which the signal is not transmitted in an open mode, although it can engage point-to-point (P2P), point-to-multipoint (P2MP), or wired or wireless connections. Although almost all cameras fall within this definition, the term is most often applied to those used for surveillance in areas where monitoring might be needed, such as bars, banks, casinos, schools, hotels, airports, hospitals, restaurants, military installations, shops and other areas where security is required. Video-telephony seldom is called “CCTV,” but the use of video in distance learning, where it is an important tool, is often called so. Public surveillance using CCTV is common in many areas around the world. In recent years, the use of body-worn cameras has been introduced as a new form of surveillance. Video surveillance has generated a meaningful debate about balancing its use with people’s right to privacy, even when they are in public. There are approximately 350 million global surveillance cameras since 2016. Approximately 65% ​​of these cameras are installed in Asia. The growth of closed-circuit television slowed down in recent years. In industrial installations, CCTV equipment can be used to observe parts of a process from a central control room, for example, when the environment is not suitable for humans. CCTV systems can operate continuously or only as needed to monitor a particular event. A more advanced form of CCTV, the use of digital video recorders (DVRs) (see also CCTV camera software), can provide recording for many years with a variety of quality and performance and additional features (such as motion detection and email alerts). More recently, decentralized IP cameras, some equipped with image sensors, support recording directly to network-attached storage devices or internal flash memory, thus ensuring fully autonomous operation. The first CCTV system was installed by Siemens AG at Test Stand VII in Peenemünde, Nazi Germany, in 1942 to observe the launch of V-2 missiles. It should be noted that German engineer Walter Bruch was responsible for the technical design and installation of the system. In the US, the first closed circuit television commercial system became available in 1949, called Vericon. Very little is known about Vericon except that it has been promoted as not requiring government authorization. Marie Van Brittan Brown invented the home security system. The patent was granted in 1969. Brown’s system had a set of 4 holes and a camera that could slide up and down to look through each. The system included a device that allowed an owner to use a TV to view the person at the door and hear the caller’s voice. The oldest video surveillance systems involved constant monitoring because there is no way to record and store the information. The roll-out of the media allowed recording from surveillance cameras. 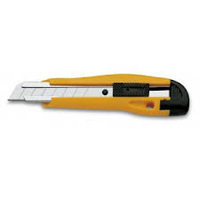 These systems requireda manual change of the magnetic strips, which was a time consuming, costly and uncertain process, the operator having to manually screw the tape onto the roll by a recorder on an empty pickup drum. Because of these shortcomings, video surveillance was not widespread. VCR technology became available in the 1970s, facilitating recording and deletion of information, and the use of video surveillance has become more common. In the 1990s, digital multiplexing was developed to allow multiple cameras to be recorded at the same time as recording at intervals and motion detection. This increased time and money savings, which led to an increase in the use of CCTV. CCTV technology has recently been improved through a shift to Internet-based products and systems as well as other technological developments. In September 1968, Olean, New York was the first city in the United States to install video cameras along the main business street in an effort to fight crime. Another early appearance was in 1973 in Times Square in New York City. The New York Police Department installed rooms in order to discourage crime in the area; however, the crime rate did not seem to fall much because of the cameras. However, during the 1980s, video surveillance began to spread across the country, targeting in particular public areas. It was seen as a cheaper way to discourage crime than the increase in the size of police departments. Some businesses, especially those who have been prone to theft, have begun to use video surveillance systems. Since the mid-1990s, police departments across the country have installed a growing number of cameras in various public spaces, including dwellings, schools and public parks. Video surveillance later became common in banks and stores to deter theft by recording evidence of criminal activity. In 1998, 3000 surveillance systems were in use in New York City. A study by Nieto in 2008 found that many companies in the United States have invested heavily in video surveillance technologies to protect their products and promote a safe working environment. A national survey found that 75 percent of companies use video surveillance systems. In the private sector, video surveillance technology is operated in a wide variety of units, such as industry / production, retail, financial / insurance / banking, transportation and distribution, utilities / communications, health, hotels / motels . Experiments in the United Kingdom during the 1970s and 1980s, including outdoor surveillance camps in Bournemouth in 1985, led to several large pilot projects later in that decade. The first use by the local government was in King’s Lynn, Norfolk in 1987. They were considered successful in the government’s CCTV: Looking For You government report issued by the Interior Ministry in 1994, and paved the way for increasing the number of surveillance systems installed. Today, systems cover most urban centers, as well as many stations, car parks and properties. The results of the study above are somewhat controversial. Previously, the similar meta-analysis by Walsh and Farrington in 2002 showed similar results: a significant decrease in car parking crime (41%) and an insignificant decrease in crime in public transport and public places. This study was criticized for including variables of confusion (eg notification of on-site surveillance cameras, street lighting improvement) found in the studies under review (including car park studies). These factors can not be distinguished from the effect of the presence or absence of cameras while the offenses were committed. Thus, a combination of factors may not be important for the reduction of crime, not just surveillance cameras. The 2009 study acknowledged similar problems as well as issues related to the consistency of the percentage of areas covered by the surveillance cameras in the tested locations (eg car parks have more rooms per square meter than public transit). Another question in the effectiveness of police surveillance systems is the lifetime of the systems; in 2013, the Philadelphia City Auditor found that the $ 15 million system was only operational in 32% of the time. There is still much to be done to determine the effectiveness of video surveillance cameras to prevent crime before conclusions can be drawn. The video cameras in the Navy Yard complex captured Aaron Alexis during his shot. One study found that the introduction of surveillance cameras in Stockholm metro stations reduced crime by about 25%, 15% of discouraged crimes were shifted to the area around stations where the cameras were not used. There is strong anecdotal evidence that video surveillance helps detect and convict offenders; Indeed, British police forces are routinely looking for video after crime. In addition, video surveillance has played an essential role in tracking suspects or victims’ movements and is widely seen by anti-terrorist officers as a fundamental tool in pursuing terrorist suspects. Large-scale video systems have played an essential part in defending terrorism since the 1970s. Also, cameras have been installed on public transport in the hope of discouraging crime, and in police surveillance vehicles, often with automated plate recognition registration, and a network of APNI-connected rooms is used to manage the London congestion loading area. Even so, there is political hostility to surveillance, and a few commentators mitigate the evidence of the effectiveness of video surveillance, especially in the US. However, most of these assertions are based on poor methodology or imperfect comparison. A more open question is whether most surveillance cameras are cost-effective. While low-quality internal systems are cheap, professional installation and maintenance of high-definition surveillance cameras are costly. Gill and Spriggs made a cost-effectiveness analysis (CEA) of crime prevention systems that demonstrated little money savings by installing cameras because most of the foreclosed offenses resulted in minimum financial losses. Critics have noted, however, that non-monetary value benefits can not be captured in a traditional cost-effectiveness analysis and were omitted from their study. A 2008 report by UK police chiefs concluded that only 3% of crimes were solved by supervisory systems. In London, a report by the Metropolitan Police showed that in 2008 only one murder per 1000 rooms was resolved. In some cases surveillance cameras have become the target of attacks. Cities like Manchester from the UK use DVR-based technology to improve access to crime prevention. In October 2009, the “Internet Eyes” website was announced, which would pay the public to see the pictures of the surveillance camps in their homes and report any offenses they were witnessing. The site aimed to add “more eyes” to cameras that could be under-monitored. Fighters for civil liberties have criticized the idea of ​​”a disagreeable and worrying development.” In 2013, Oaxaca hired deaf police officers to read conversations on the lips to discover a criminal conspiracy. In Singapore, as of 2012, thousands of video cameras have helped deter customers, throw garbage in public, and illegal car parks, according to government data. Industrial processes that take place in dangerous conditions for humans are today often supervised by surveillance cameras. These are mainly processes in the chemical industry, inside reactors or nuclear fuel manufacturing facilities. Special cameras for some of these purposes include line scan cameras and thermographic cameras that allow operators to measure process temperatures. The use of surveillance cameras in such processes is sometimes required by law. Many highway towns and networks have extensive traffic monitoring systems, using surveillance cameras to detect traffic congestion and accidents. Many of these cameras are nonetheless owned by private companies and transmit data to the driver’s GPS systems. The British Highway Agency has a video surveillance network made up of over 3000 Pan-Tilt-Zoom cameras that cover the British motorway network and main thoroughfares. These cameras are mainly used to monitor traffic conditions and are not used as radars. With the addition of fixed cameras for Active Traffic Management, the number of cameras on the Highway Agency’s video surveillance network is likely to increase significantly over the next few years. The congestion charge in London is imposed by cameras located at the boundaries and within the congestion loading area, which automatically read the license plates of the cars. If the driver does not pay the fee, a fine will be imposed. Similar systems are developed as a means of locating reported stolen machines.Other surveillance cameras serve as surveillance cameras. In order to use XMeye CMS for pc, you need to own an IP or CCTV camera. Xmeye CMS it’s a free camera surveillance software created by Chinese in order to use their products. You can do a small search on some online stores and you will notice that almost any CCTV camera came with this free software. How to connect a CCTV IP surveillance camera through Xmeye. The first step that you need to do is to install Xmeye CMS on your Windows PC (Windows 10, 8 and 7 are supported). The next step is to make sure your CCTV camera is turned ON. After that, you must connect the CCTV camera jack to the PC. The only thing you need to do right now is to Click the System menu, then Device Manager, and click Add Device. Once your device is detected it will appear on the list and you can start watching/recording the activity. The Xmeye surveillance camera software for PC or Android has a lot of functionalities that you need to test. It’s one of the best software in the industry and it is absolutely free. Don’t waste your time and money on paid CCTV camera software. With Xmeye app for PC or Android, you can connect up to 64 IP cameras through the software and you can record the activity for all of them at the same time. More info about CCTV cameras can be found on Wikipedia. The mobile app can be found on Android Play. If you have other questions, feel free to send us an email. We will reply asap! Regards!